I've walked by this unexpected piece of 'found art' many, many times on my daily hikes with my faithful canine, Piper, and the shear irony of it always make me smile. 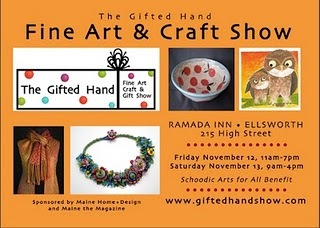 Getting ready to head out to the city and ready my booth for The Gifted Hand Show. This is the fifth year for this fine art and craft show - and my first! I'm very excited to be in the company of such fine artisans. 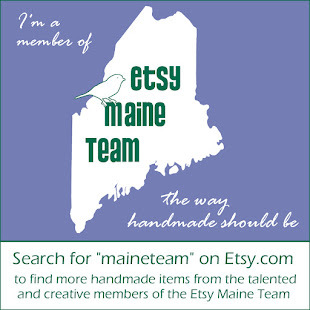 The show is held at the Ramada Inn (formerly the Holiday Inn) in Ellsworth, ME, and runs Friday, November 12th 11:00 am to 7:00 pm Saturday, November 13th 9:00 am to 4:00 pm.